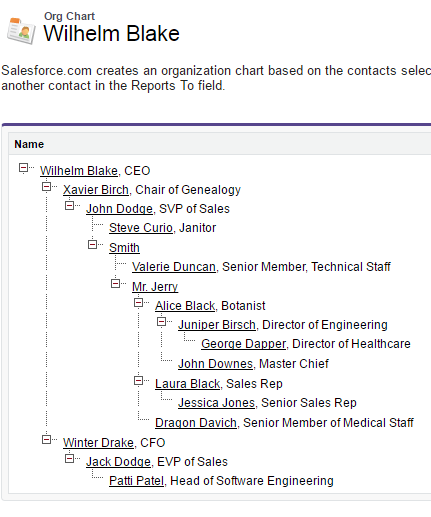 Salesforce.com creates an organization chart based on the contacts selected in the Reports To field of each contact. 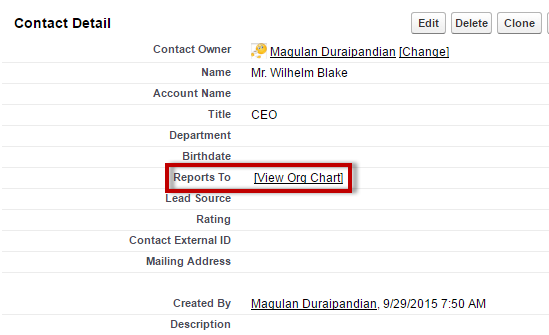 To create a single chart for an account, make sure every contact but the one at the top of the hierarchy contains another contact in the Reports To field. 2. Click "View Org Chart" in Contact.